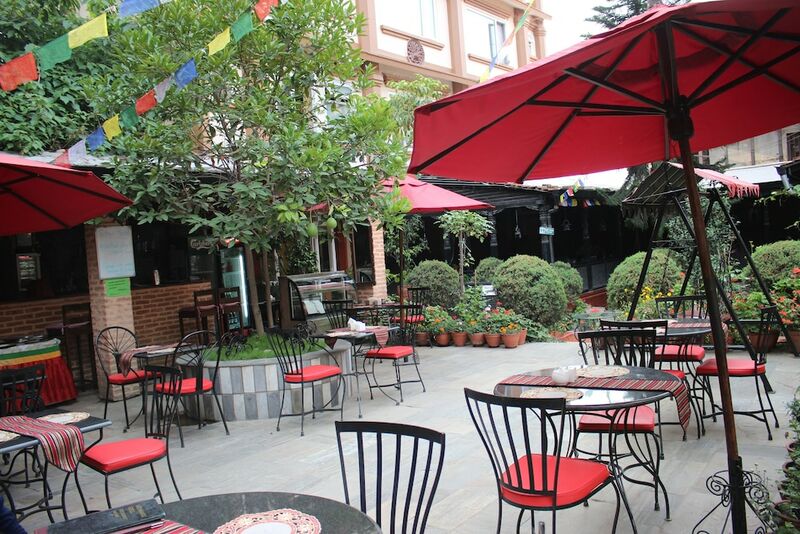 This family-friendly Kathmandu hotel is located near the airport, within 1 mi (2 km) of Durbar Marg, Garden of Dreams, and Kathmandu Durbar Square. Pashupatinath Temple is 2.7 mi (4.3 km) away. A restaurant, a bar/lounge, and a poolside bar are available at this hotel. Free WiFi in public areas and free valet parking are also provided. Additionally, a coffee shop/café, a snack bar/deli, and a rooftop terrace are onsite. All 36 individually decorated rooms feature free WiFi and room service. For entertainment, LED TVs come with cable channels, and guests can also appreciate comforts like premium bedding and down comforters. Dining options at the hotel include a restaurant, a coffee shop/café, and a snack bar/deli. Guests can unwind with a drink at one of the hotel's bars, which include a poolside bar and a bar/lounge. This 3-star property offers access to a business center and a meeting room. A computer station is located on site and wireless Internet access is complimentary. This family-friendly hotel also offers a rooftop terrace, spa services, and a library. For a surcharge, the property provides a shuttle from the airport to the hotel (available 24 hours) and a casino shuttle. Limited complimentary onsite parking is available on a first-come, first-served basis. Hotel Encounter Nepal has designated areas for smoking. Garden Restaurent - This restaurant overlooks the garden. Guests can enjoy drinks at the bar. A children's menu is available. Rollaway/extra beds are available for NPR 15 per day. This property offers transfers from the airport (surcharges may apply). Guests must contact the property with arrival details 48 hours prior to arrival, using the contact information on the booking confirmation. Only registered guests are allowed in the guestrooms.